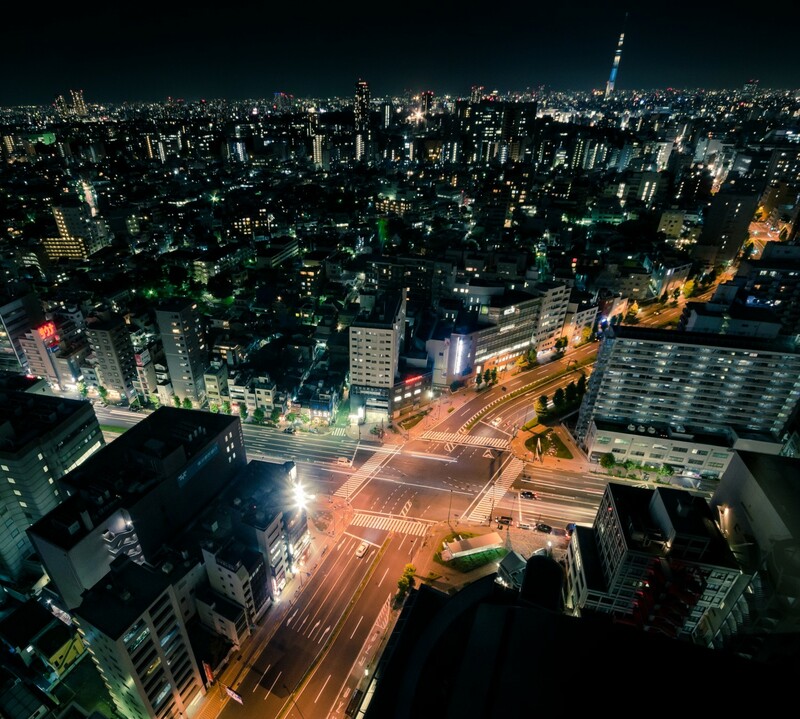 While Tokyo is one of the busiest and most crowded metropolis in the world, travelling out of Tokyo for an hour can take you to a different world. 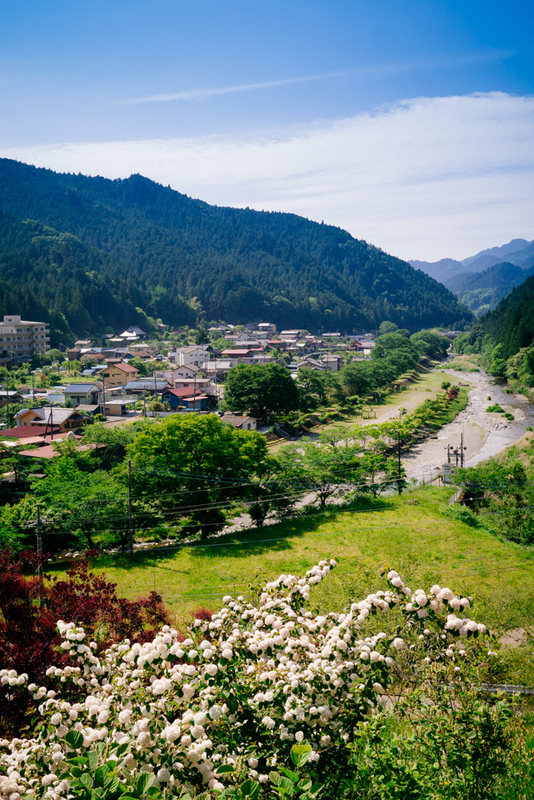 On this day, our destination was the mountainous area outside of Hanno, a bedroom community in Saitama about an hour by train from Ikebukuro. This area is the starting point for many wonderful and fairly leisurely short hikes into the mountains of the Chichibu range. However, our hike would not be a leisurely one, but rather on the path less traveled. Rather than hiking the winding path above the river, we would walk down along and through the river, occasionally requiring us to climb small and medium sized waterfalls. 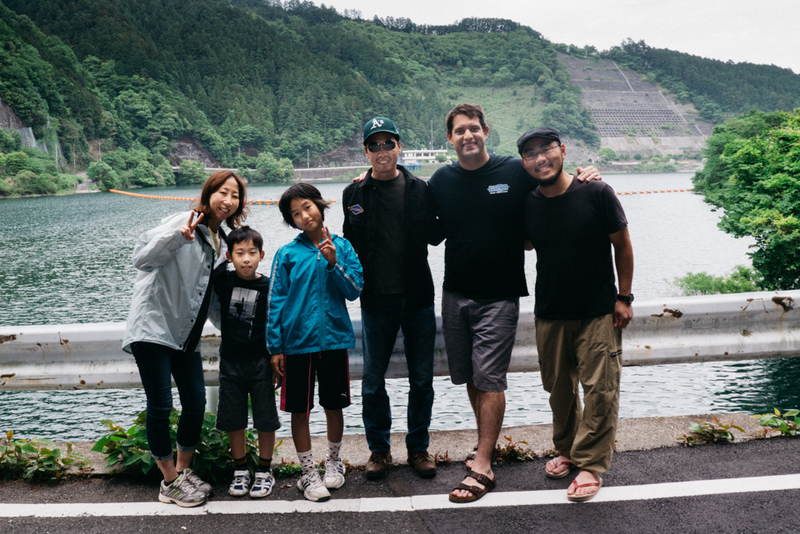 Our youth pastor, Keisuke, has been taking adults and children on this hike for several years. An avid outdoorsman, Keisuke often takes his wife and children on outdoor adventures consisting of hiking, climbing, skiing, camping and fishing. But Keisuke combines his love of nature with his compassion and love for children. That’s why he offers these trips several times per year to homeschool children and their parents as well as the children and parents who live in the neighborhood around our church. Most people, especially in urban Tokyo, won’t have the chance to take a waterfall hike which requires a skilled guide to lead. Keisuke asked Peter and I to come along on this trip to shoot photos and video which could be used to create promotional materials for families who might be interested in future trips. Together with a boy and his mother and another girl from our church and our driver Tanaka-san, we went on the first hike of 2015. Arriving in Hanno, we were greeted with beautiful weather. The sun was shining but there was a nice cool breeze to keep it from getting too hot. A typhoon would be passing offshore in the evening bringing rain, but for the time we would be hiking, there would only be sunshine and some light clouds. Tanaka-san waited with the van for us but said he enjoyed the wonderful breeze and sunshine while reading a book. Keisuke had us sit through some basic training at church using the climbing wall in our basement, so after suiting up in our equipment, he gave us a short sermon on taking risks and being courageous, reminded us of the important safety information, and prayed for us. Then we were off into the forest. Following the river, we encountered no other people, most of whom were walking well above us on the trail. We scrambled over rocks and through the water until we came to our first waterfall, a short one, maybe 3 meters high. Keisuke scrambled up, secured the rope and helped each of us make the short climb. At this point, the adrenaline was pumping and it seemed pretty easy. As we continued up the river, the terrain became steeper and each progressive waterfall became slightly higher than the ones before it. We ended up climbing 5 waterfalls (the adults anyway; the kids were spent after the fourth). Truth be told, I only climbed the second half of the fifth waterfall. I went around to the path so I could photograph our other members climbing up. The fifth waterfall was in two parts, a 10 meter section where the easiest part was to climb in the waterfall itself and a 12 meter section where you could climb in the water or off to the side. Peter bravely climbed both parts in the water though he admitted he was freezing cold afterward because the water was pretty chilly. I climbed the second part to the side of the waterfall, but there were few places to put my hands and feet and a lot of moss to keep me slipping. Halfway up, I honestly wanted to give up. I couldn’t seem to find any place to hold on and move any higher. My arms and legs were growing tired and I was getting frustrated. There were places to hold onto to my right that I could see, but I couldn’t stretch far enough to reach them. Keisuke encouraged me from above. Somehow I managed to wedge my knees into the tiniest ledges and grab onto rough spots on the rock that I didn’t think would support me, slowly making my way to the right. Miraculously, I grabbed a large outcropping and pulled myself up. I arrived at the top of the falls exhausted but victorious. As I sat there regaining my strength, the message Keisuke had given us to start the day really hit me. At that moment I was afraid, but I needed to be courageous. I wasn’t going to fall because Keisuke had the rope secured, but I still needed to use my own power to find the places to pull myself upward. Christian life is like that as well. God won’t allow us to fall, but he will allow us to stumble. He encourages us from above, but often, He won’t do the hard work for us. He allows us to struggle to build our character and our confidence because He knows that we are able to accomplish the goals He set for us. 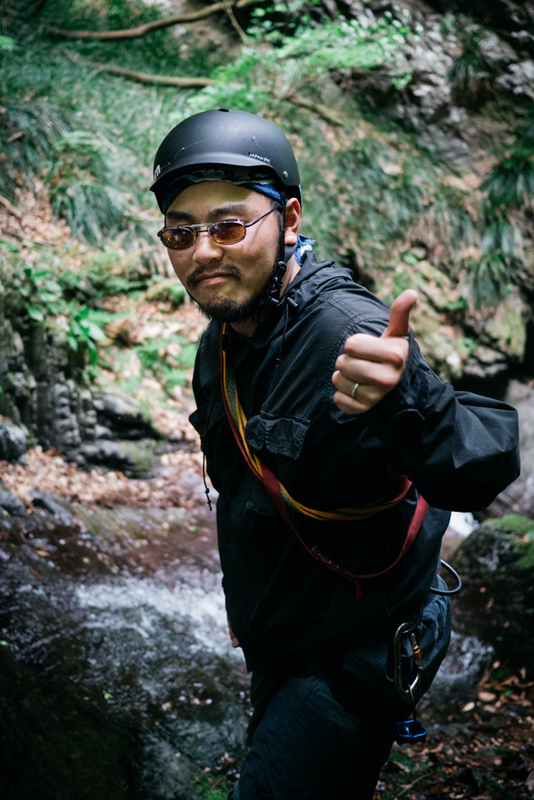 I went along on this trip as a helper for Keisuke’s ministry but came home blessed with a lesson that I could not have learned anywhere else but clinging to a mossy rock, climbing a waterfall. On a cold Tuesday morning in February, an unassuming Toyota Prius pulled into the parking lot outside of our church and a very special guest stepped out. 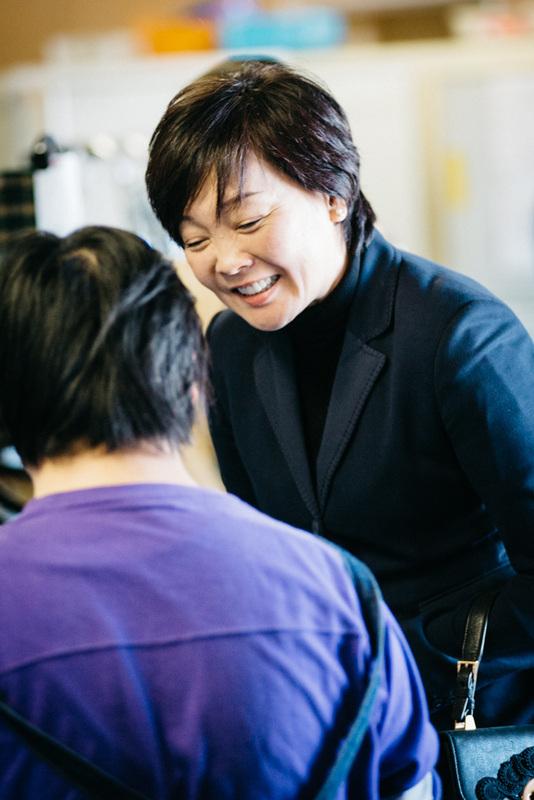 Mrs. Akie Abe, the First Lady of Japan, was there to visit Wheelchairs of Hope, one of the many ministries using our church facilities. Mrs. Abe had come to learn about Wheelchairs of Hope because she was delivering some wheelchairs from them on an upcoming trip to Cambodia. She had learned about the ministry from another event and it had piqued her interest. So here she was, spending over an hour with the mostly volunteer staff of the ministry, listening to their passions for the work and seeing how broken wheelchairs were lovingly brought back to life by the staff. The low key event was covered by two of her own media people and a few of us representing Wheelchairs of Hope and the church. There was no secret service detail or entourage of helpers waiting on her. It was just her and her aide and her genuine interest in the ministry. One could hardly imagine the same casual level if Mrs. Obama or the First Lady of any other world power were out on her own in public. When she finished learning about the Wheelchairs of Hope ministry (and graciously taking photos and talking with many of the volunteers), she asked if she could see the church sanctuary. Our pastors were caught a little off guard as they had gone back downstairs to the lobby to see her off. But they rushed back up in the elevator and showed her into the sanctuary. 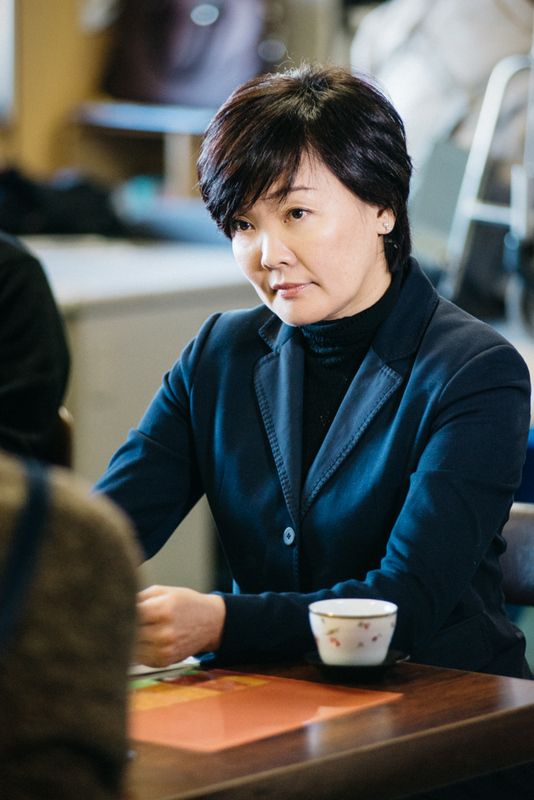 Mrs. Abe had attended Sacred Heart Catholic school in Tokyo from middle school through university. She told our pastor that though she was not a Christian, she was interested in the Christian worldview. Fortunately, our pastor was the person who had translated “The Purpose Driven Life” into Japanese for Rick Warren, and he was able to give her a copy of the book. It was a blessing to have Mrs. Abe visit our church. Not only is she an important and influential person, she is also a warm, caring person with a heart for the less fortunate. In some ways, she already understands God’s heart for the people of the world, that God stands for the poor, oppressed and hungry and asks us to do the same. We pray for her to receive an understanding of Christ through “The Purpose Driven Life” and to know the heart of God more and more. UPDATE: Paul Nethercott wrote an even more detailed account with an interview from Mary Esther Penner, founder of Wheelchairs of Hope and information about our church as well. Read the article at his blog, JapanCan. These are the words of Jesus when the adults, who saw the kids as a nuisance, tried to keep them away from him. It would be foolish of us to regard this event as insignificant. It’s not a story about Jesus loving children, though he certainly does. It is a story of salvation, of transformation, and the importance of children in the Kingdom of God. Yesterday, we attended the 4/14 Movement Japan Leadership Conference. 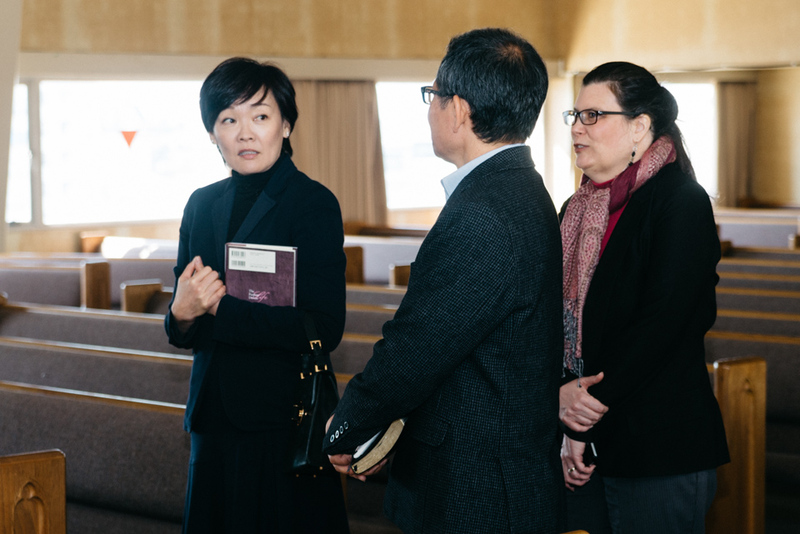 Over 100 leaders and influencers in Japanese churches were in attendance, learning about evangelizing the 4 to 14 year old generation: why it is important and what are the challenges to reaching their hearts. 70% of all people who receive Christ make the decision to do so before the age of 15 and 80% before the age of 20. Yet in Japan, people under 30 years old make up only 6% of the population of the church! This is a huge missed opportunity as more and more, young people are finding church is not relevant to them. Meanwhile in places like Mongolia, churches have chosen to focus on evangelizing the youth and have seen exponential growth in numbers. In less than a decade, Mongolia has gone from less than 2% to nearly 8% Christian because the churches have been ministering to the children. Children readily receive the gospel because they are not burdened by cynicism and they share the gospel because they are not ashamed of it! It was a joy to see a room full of adults, many of them pastors of Japanese churches, coming together to commit to change in the way the Japanese church addresses youth ministry. Yet we realize this group of people are only the first seeds to be planted. As churches and children’s ministries thrive, other churches and pastors will begin to prioritize children’s ministry and see tremendous growth in the Kingdom of God. The answer to this important question is perhaps more simple than anyone imagined. Involve the older people in the church in the ministry for the young. One of the churches showed an AWANA video and I was struck by the fact that many of their AWANA leaders seemed to be the older people of their church. What greater honor can there be for an older Christian than to be responsible for ministry to the young? Creating opportunities for the different generations of a church to interact with one another is critical to growing a healthy thriving church. I pray that more churches will make use of this precious resource, mature Christian people with hearts to serve the Lord by teaching and discipling the young. I am so thankful to be a part of this movement just as it is beginning to take root in Japan. I can imagine looking back at this time many years into the future and seeing it as a turning point in reaching Japan with the gospel. We hope to continue to be actively involved with the leadership of the 4/14 Window Movement Japan and get others involved as well. Some of our most precious memories serving in Japan come from the time we spent at a “Gakuen” in Chiba, where we have spent 3 summers serving. I put the word “Gakuen” in quotes because it doesn’t quite translate literally to English. In English, gakuen translates to “campus”, as in a school campus. But the “Gakuen” I refer to is not a school at all, but a home for some very special children. The “Gakuen” I refer to is best described as a government operated home for children who have been separated from their parents, willfully or unwillfully. In America, it’s easy to understand the “unwillful” reference, which generally applies to parents who are deemed unfit for parenthood as a result of addictions, abuse, neglect, etc. However, in Japan, parents can voluntarily turn their children over to government care for a variety of reasons including financial hardship or just finding parenting a particular child too difficult. (Note: I am the first to admit I do not know the full details of how children can be turned over to government care either in Japan or in the US, so feel free to correct me if I make a mistake). At this particular “Gakuen”, 200-300 children from toddlers to teenagers live together in a group of “houses”. Each house has 40-50 children separated into two groups, each cared for by a single volunteer who lives onsite and acts as a parental figure. It doesn’t take a lot of thought to realize this situation is less than ideal for children. Despite the fact that nearly every adult we have met working at such a facility cares deeply and passionately about children, there is no way one adult caring for 20-25 emotionally fragile children will be able to do an adequate job with all of them. The environment is ripe for bullying and other abuses among the children. Last summer, we spent a every afternoon for a week at the Gakuen. We brought games, sports equipment and crafts to do with the children. On the first day, very few showed up, except for those rounded up by the house leaders and made to come out and meet us. But each day, more and more children would come to see us out of curiosity and end up staying and playing with our team members. On our final day, dozens of kids waved and ran after our van as we pulled out of their parking lot. There were tears, for sure, but mostly in our own eyes as we remembered what a wonderful week we had getting to know these children just a little while. The last thing we wanted to do was to make friends with children and then disappear for a year without a trace. Fortunately, one family who attend a local church committed to returning to the Gakuen every week to visit and play with the kids. They had kids of their own, so building friendships with some of the kids was natural and easy. Some of the older kids even rode their bikes to the family’s house to play with kids or get help with their schoolwork. Did our visit make a huge difference? Yes it did, but not so much in the lives of the children we met, but in our own lives. Since that time, the plight of these children have weighed on our hearts. As I have done research on the Child Welfare system of Japan, the things I have found have been disturbing. The way the system is set up, the government facilities become more like a prison to the children staying there rather than a home. I must stress that I am in no way criticizing the staff who work at such facilities. As I mentioned, the staff we have met are all people who have hearts of compassion toward the children they serve. And though I am necessarily critical of the system that is doing more harm to these children than good, I am also not simply saying the system has to be changed. Waiting for the system to change can take years, even decades, and meanwhile, the damage to children and society continues. What has to change is the heart of the Japanese church toward these children. If the church viewed the children with the same eyes as our Heavenly Father, who considers them His own children, we would be more involved in filling the gaps where the government system is lacking. America is not lacking for programs reaching out to children who are at-risk. Programs like Big Brothers / Big Sisters, that give children an adult mentor and friend. Even something as simple as visiting a facility to spend time with the kids, teach them a craft, help with schoolwork, play a game would make a huge difference in the lives of these children, many of which go days or weeks without quality interaction with an adult. Getting involved in the lives of these children is costly. It costs time. It can costs money. The emotional cost is the largest, as you bear the weight of these children’s worlds on your shoulders. But when we look at the Bible and see how many times God reminds us to serve justice and mercy to orphans (hint: around 40 times), it isn’t hard to understand how important an issue this should be to us as Christians. We will discuss this issue in more depth in future postings including why the majority of children living in such a system cannot be adopted, the challenges of reforming they Child Welfare system and specific things the Japanese church can do for “the least of these” living in the Child Welfare system. Note: If you’re wondering why there are no photos in this post, for safety and security reasons, pictures of the children living in the home we visited are not allowed to be posted on the Internet. Personally, I would love for you to see pictures of these kids, for the simple reason that they look just like any other children in Japan who need the love of Jesus in their lives.